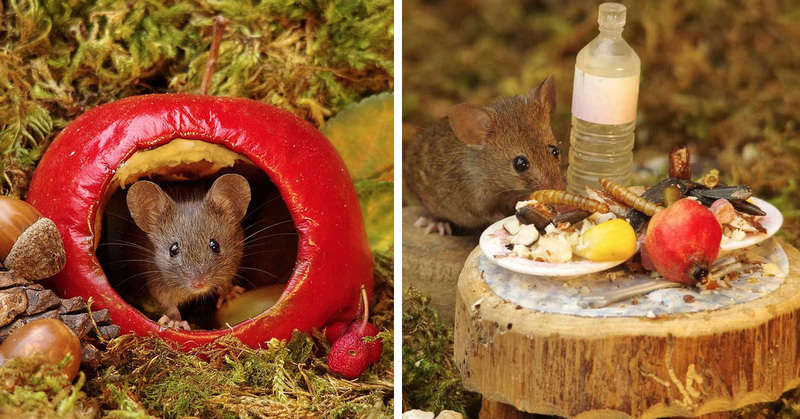 Man Finds A Family Of Mice In His Garden & Builds Them Their Own Tiny Village! 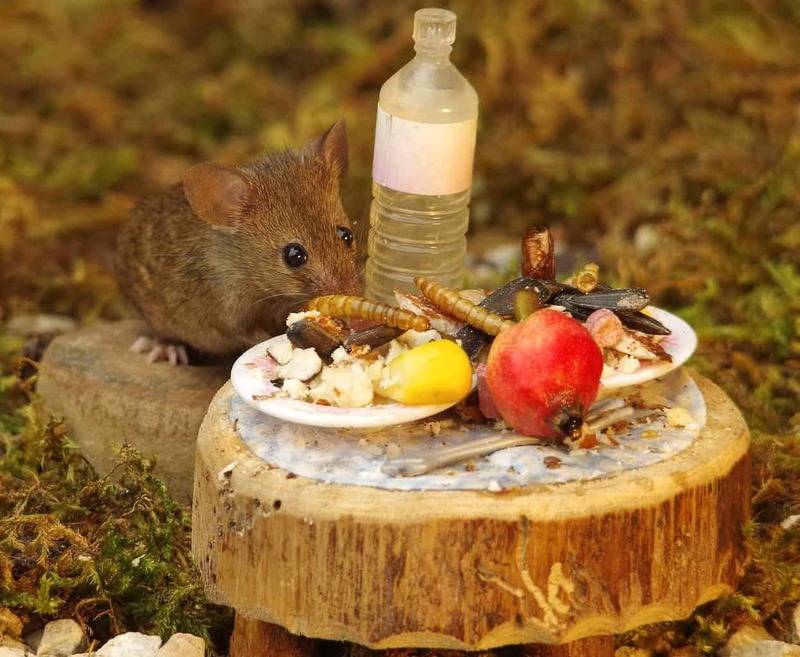 Most people might not be most pleased about finding mice in their back garden…in fact, some people may even be inclined to call Pest Control! 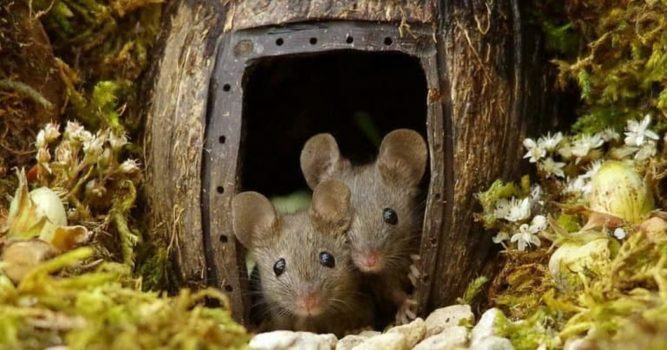 & Granted, seeing a gang of mice so close to home, maybe a little too much for some people, but let’s face it, the outdoors is their domain, after all! & Thankfully, some people accept this fact and don’t let the kitty mafia loose on them, nor do they head for the mouse traps! 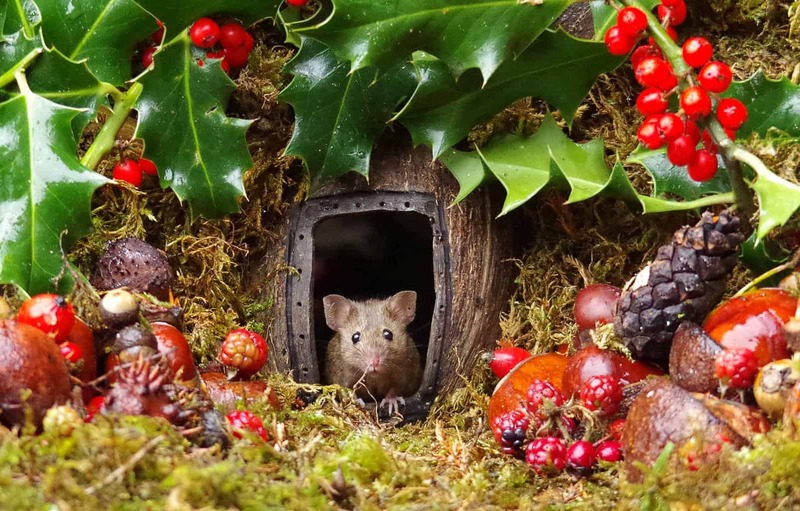 Enter a man named Simon Dell, a wildlife photographer from Sheffield in the UK, who spotted a family of mice, who had made themselves right at home in his back garden. 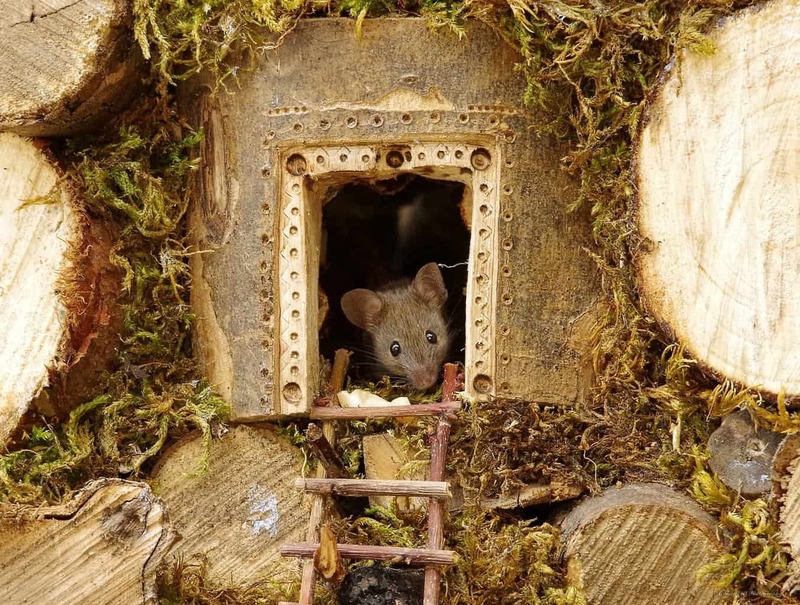 Obviously being an opportunist, Simon saw this as a brilliant opportunity to get some up close and personal shots of his new little neighbours, only sadly, they weren’t most enthusiastic about the idea of papped! 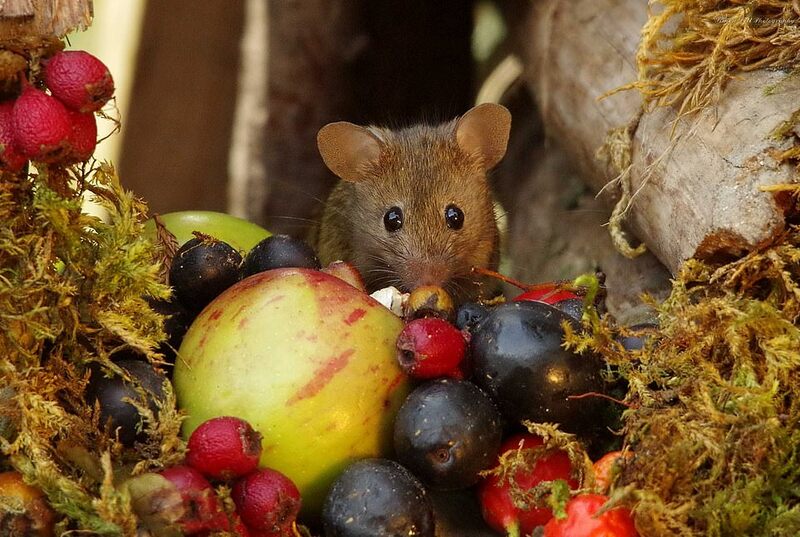 Mice will be mice and they weren’t exactly going to come running up to him and begin to pose for a selfie! So he had to think of a way to entice them…without frightening them off! 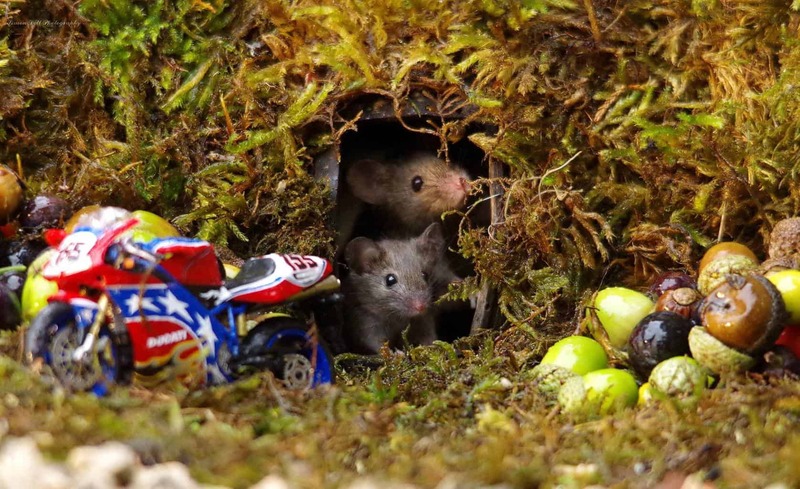 He needed something that was going to grab their attention…AND make for some amazing pictures! and…it totally worked…don’t believe me? Lucky for us, we have some of his awesome pictures as proof! 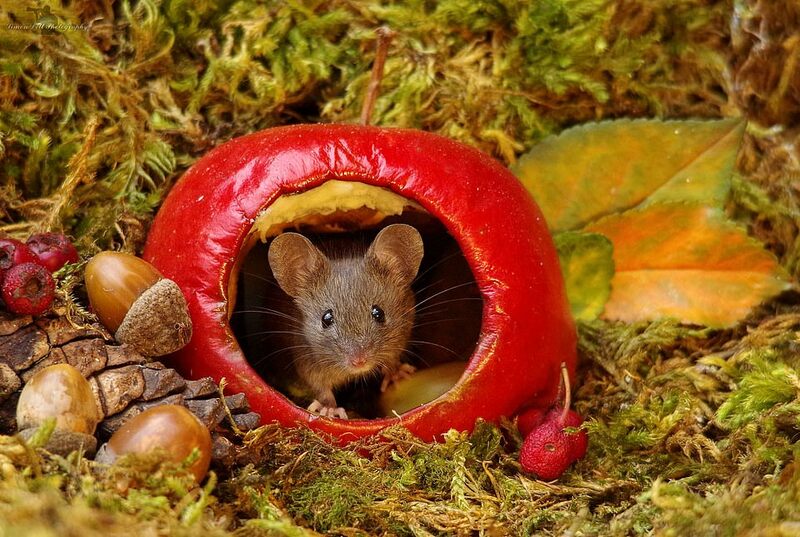 Using old fruit and any old props he could get his hands on…he set about making their new home as aesthetic and adorable as possible! With unbelievably cute results, as I’m sure you’ll agree! 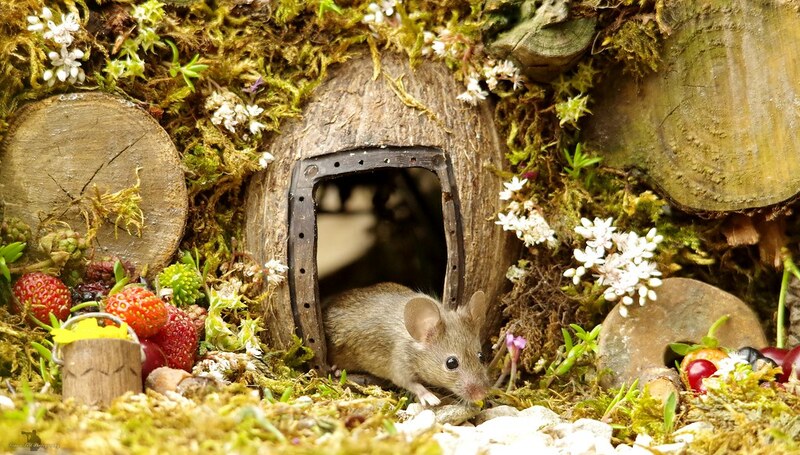 He also created little mini huts/houses for each of the mice, in order to capture the sweetest shots possible! We definitely think that you’ve smashed that goal, Simon! 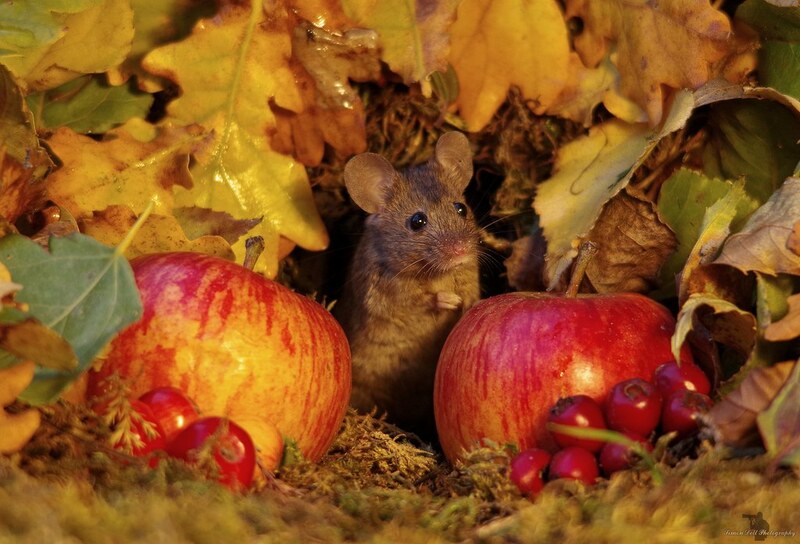 I don’t think our hearts can handle any more of this…it’s akin to something out of a storybook! 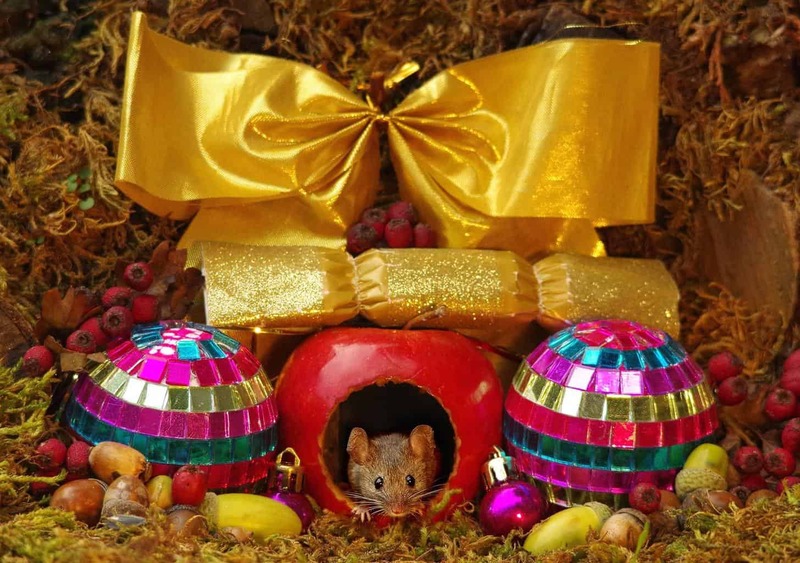 Not content with just the little mini abodes for his new friends, Simon then went onto build them a playground and proceeded to earn their trust and get their attention with various tasty temptations, which included nuts, berries and fruit! 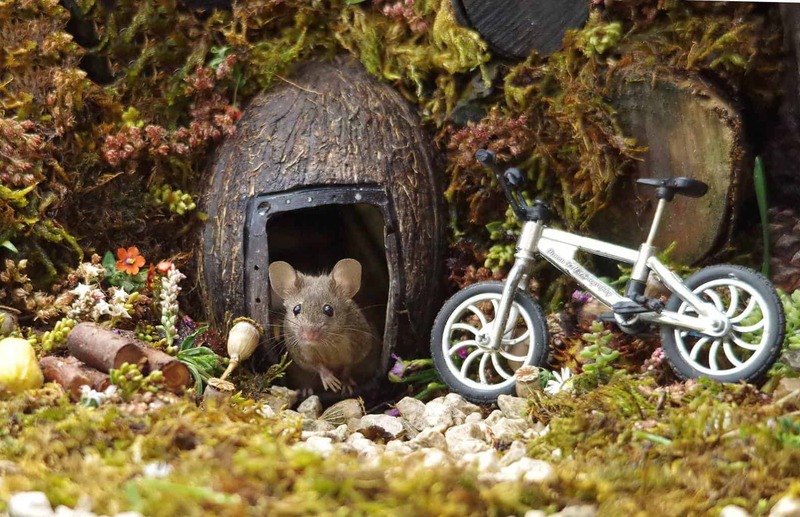 Whenever he went for a stroll in his local nature reserve, he wouldn’t forget to bring back something for his growing rodent village! 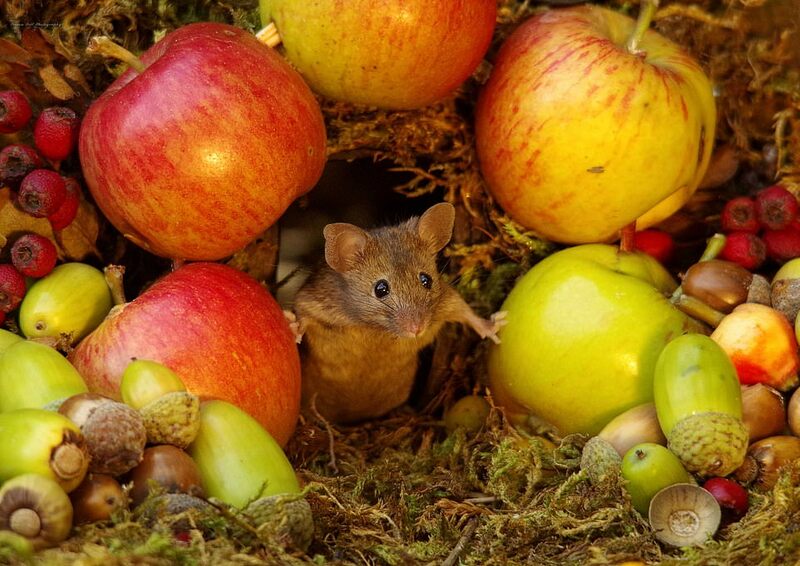 Which obviously lead to some lavish, mouse-sized banquets! This is just too sweet (look at the little water bottle!) He’s certainly got an excellent attention to detail and hasn’t left anything out! & As we can see, the results speak for themselves! He’s even branched out and created some transportation for them! However, I don’t they’d want to use it, too often! I mean, why would you want to leave home if it was so cosy and awesome!? They even have the option of traditional push bike…or flashy, sports motorcycle! Looks like they’re doing pretty well for themselves! We definitely need more people like Simon in the world! & As the pics prove, it looked absolutely magical! 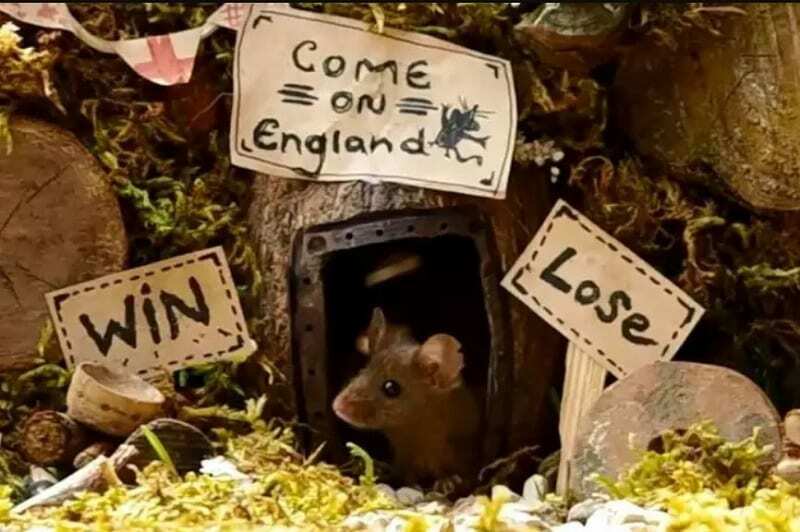 I don’t know about you, but I think our more of our little creatures could use a brilliant, caring landlord like Simon! 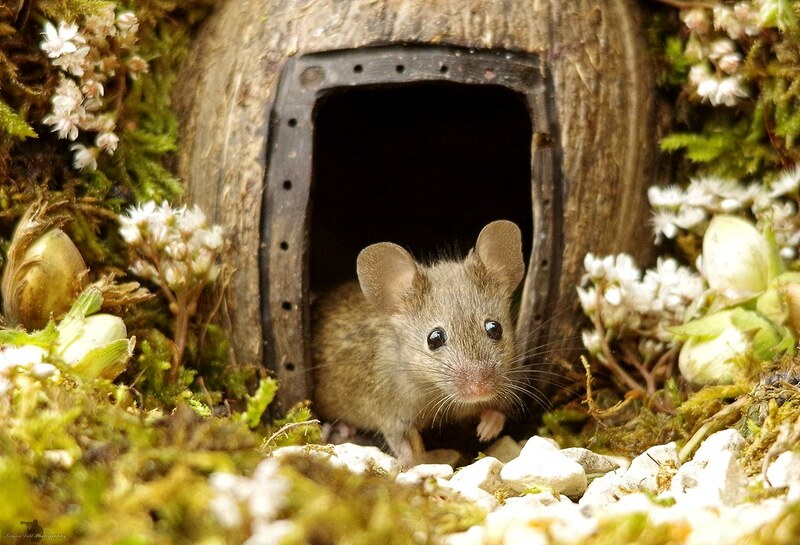 & I personally hope that he and his adopted mouse family have many more years together, to come! 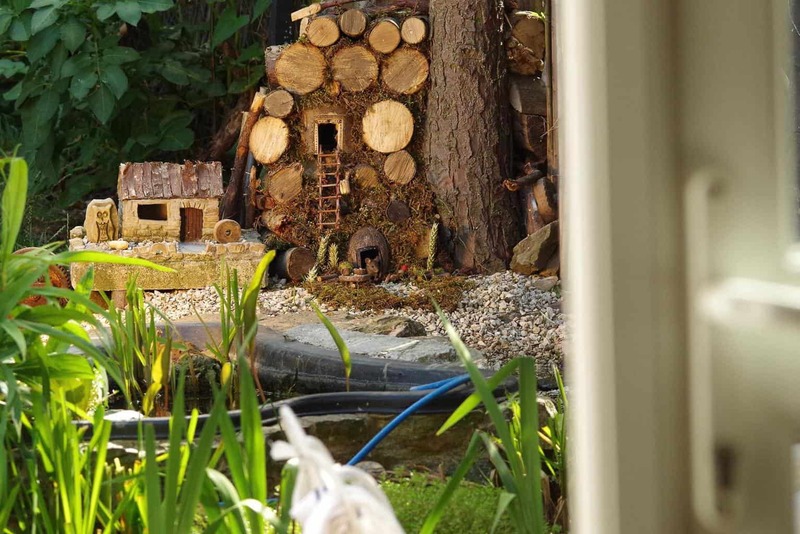 & I also kinda want a little mouse family village in my back garden now, too!